Details Robert McGinnis was hired by Charles Feldman (the owner of the rights to Fleming's first Bond novel) in order to create the central image of the psychedelic girl which was used internationally. 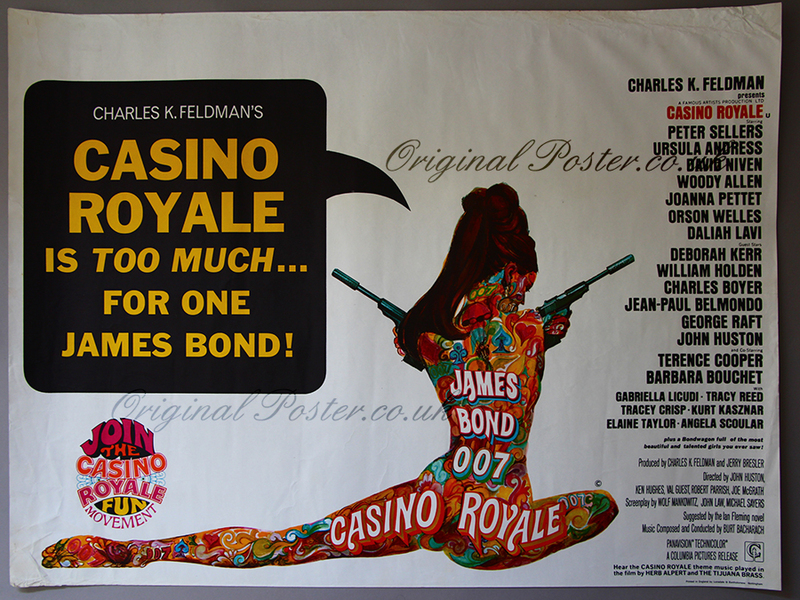 This example of the British quad cinema poster from 1967 is the best artwork with amazing deep colours and an oval printed "Join the Casino Royale fun movement" which when compared to the American half-sheet is not only larger but far more colourful and superior in every way. This rolled condition quad cinema poster is the best we have seen with its only flaw being a little ruffling at the very top right and bottom left corner. A sensational piece of Sixties psychedelic art and cinematic history.